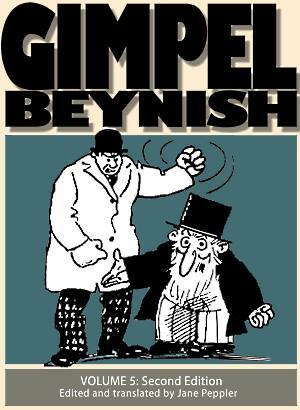 Because I'm including Sam Zagat's political cartoons, I couldn't fit all of 1917 into this volume. 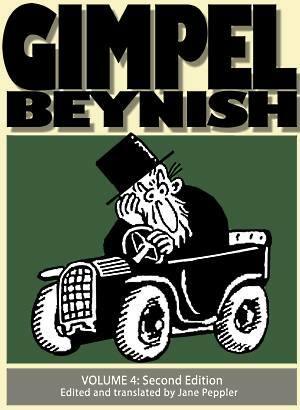 It goes from January through August 1917. 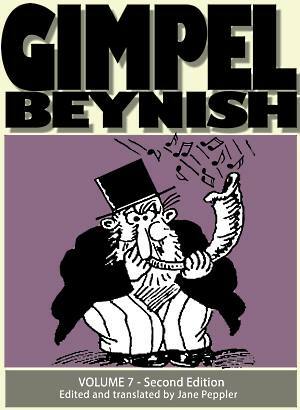 There will be two more volumes and that will be the complete set, because Di Warheit merged into Der Tog in early 1919 and Louis B. Miller (who wrote the Gimpel Beynish comic strips) and Samuel Zagat (who illustrated them) parted company. 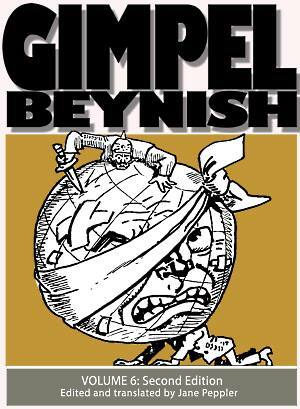 Click the cover to go to the page where you can see all five volumes and buy them as paperbacks or as digital downloads (only $5 each). I also provide a full retyped file of all the captions in Yiddish by return email if you write me and ask for it. 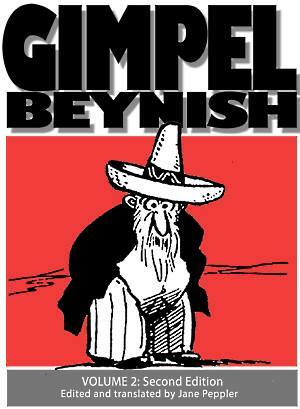 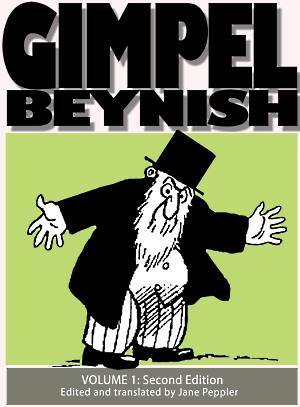 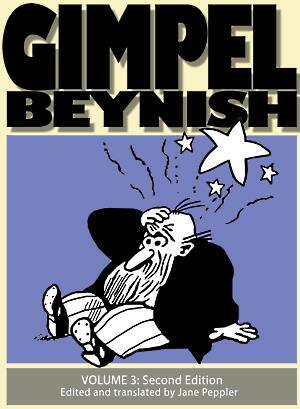 All the Gimpel Beynish books for sale.